Some of the most beautiful women in the world have shaved their face! Elizabeth Taylor, Cleopatra and Marilyn Monroe are among the list of women who vowed that a razor and shaving cream gave them a lustrous “glow”. They could have been on to something! Centuries later started a similar process called Dermablading, also know as Dermaplaning. Dermablading Stand Alone Treatment – £45.00 to include cleanse, Dermablading, AHA cleanse, and moisturiser. If we need to wax any area normal waxing prices will apply and be added to treatment price – you will be asked at the beginning of your treatment if you would like this. 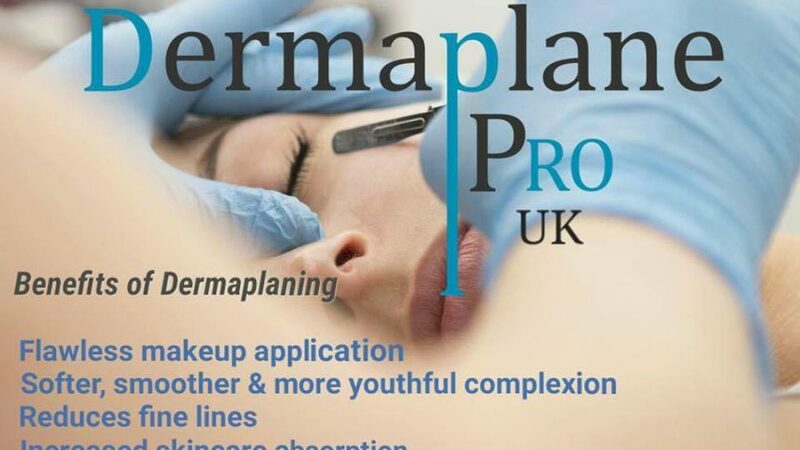 Dermablading Luxury Treatment – £60.00 to include cleanse, Dermablading, AHA cleanse, mask to suit skin type, facial massage moisturising creams and foot Massage. I am extremely excited about this new facial, I am amazed at the results I see on each and everyone of my many satisfied customers (with most customers re-booking the next treatment before they leave the salon). The process includes exfoliation by way of a surgical blade (a new blade for each customer), which is then used to scrape off the top layer of dead skin cells, thus revealing a more smooth, and vibrant complexion. Get the glow – Dermablading increases circulation, thus creating a radiant Dewey and refreshed skin! If we need to wax any area prior to treatment normal waxing prices will apply and be added to treatment price. You will be asked your at the beginning of treatment if you would like this add on.